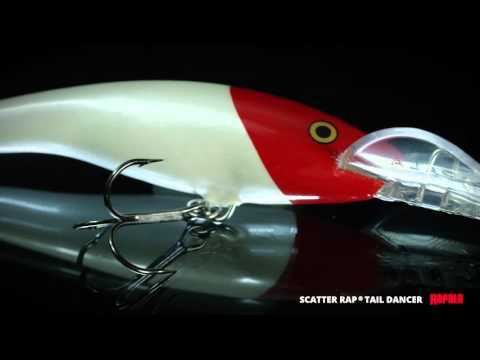 Rapala Scatter Rap Tail Dancer is the ultimate trolling tool. A combination of the wide, tail-kicking action of the legendary Rapala Tail Dancer® and the escaping minnow action created by the Scatter Lip® creates a strong, evasive, erratic action no predator can resist. Designed for searching fish in deeper water either by trolling or casting. When trolled, Scatter Rap Tail Dancer kicks sideways - creating an illusion to a pursuing predator that it might get away, triggering a strike.